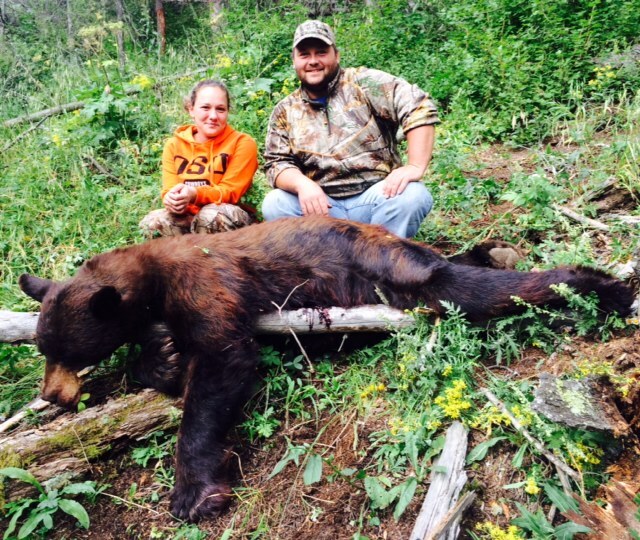 JACO Outfitters, LLC offers Black Bear Hunting in New Mexico. 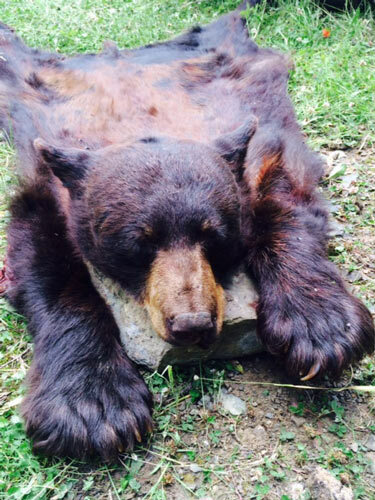 Experience a Guided Black Bear Hunt with JACO Outfitters, LLC. Sit over a water hole, an apple orchard, spot and stalk, or let the dogs assist in your New Mexico black bear Hunt. We offer Black Bear hunts in Northern New Mexico in the Sangre de Cristo Mountains on both private and public hunting grounds. Have an opportunity to take a black bear in one of its many color phases: black, brown, cinnamon, or blonde. Go to the gun range with guides to check the sites of your weapon. An over-the-counter Bear License with valid carcass tag may be purchased from license vendors, Department offices, online or by mail using Form 3. One carcass tag comes with each license. (NOTE: Licenses and carcass tags purchased online will be mailed within two weeks of purchase). Hunters must purchase a Bear License AT LEAST TWO DAYS BEFORE HUNTING and must possess a valid Bear License and carcass tag while hunting in the field.